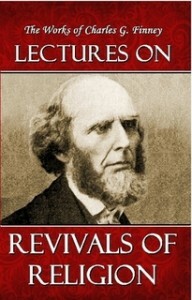 A revival is as naturally a result of the use of appropriate means as a crop is of the use of its appropriate means. Suppose a man were to go and preach this doctrine among farmers, regarding their sowing of grain. Let him tell them that God is a Sovereign, and will give them a crop only when it pleases Him, and that for them to plough, and plant, and labour, as if they expected to raise a crop, is very wrong, that it amounts to taking the work out of the hands of God, that it is an interference with His Sovereignty, and that there is no connection between the means and the result on which they can depend. Suppose the farmers should believe such a doctrine? Why, they would starve the world to death. Just such results would follow on the Church being persuaded that promoting religion is somehow so mysteriously a subject of Divine Sovereignty, that there is no natural connection between the means and the end. . . .
Men are not mere instruments in the hands of God. Truth is the instrument. The preacher is a moral agent in the work: he acts; he is not a mere passive instrument; he is voluntary in promoting the conversion of sinners.